Almost every one I know experienced the pains of choosing the right college course during high school. Of course, that was the time when senior high school is not yet implemented in the Philippine educational system. Popular courses back then was B.S. Nursing and B.S. Accountancy because it is common knowledge that these courses were very much in-demand here in the country and abroad. Luckily for students now, Senior High School was implemented 3 years ago. That means, incoming Senior High Students has the advantage of being more prepared in terms of what course to take up in college thru STEM (Science, Technology, Engineering and Mathematics), ABM (Accounting and Business Management), HUMSS (Humanities and Social Science), GAS (General Academics Strand) strand. During Junior High School, the students undergo several career test that will determine which strand is best suited for them so that when they enter Senior High School, they are already grouped based on what strand is suitable for them because each strand has specialized subjects that corresponds to the course that they will take up in college. 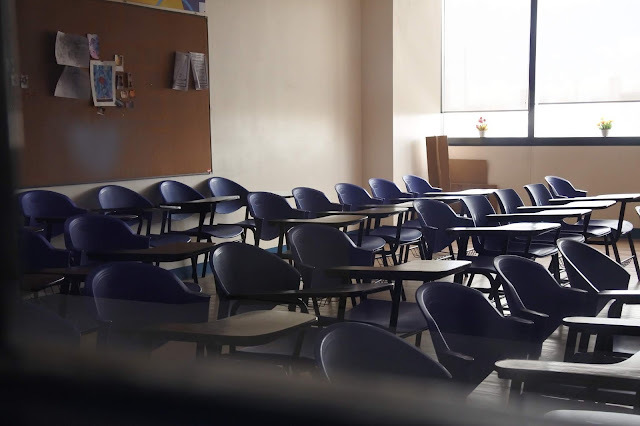 And as we move on unto the 21st century, parents are much more supportive when it comes to choosing the perfect Senior High School for their millennial kids because we all live in a competitive world after all. 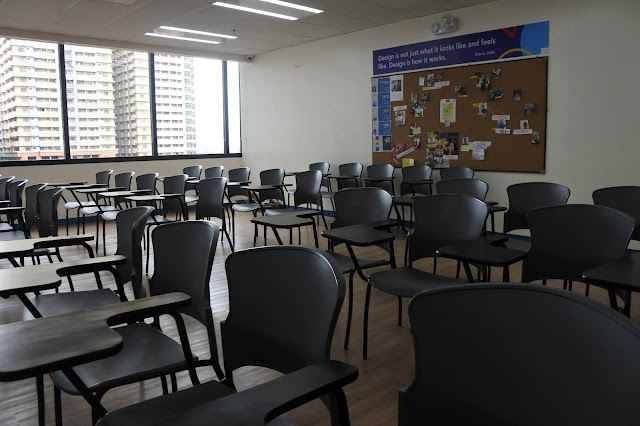 iACADEMY, a private and non-sectarian school located in Makati City offers Senior High School, and specialized courses in Computing, Business, and Design which aims to guide and help the students prepare for the professional world. 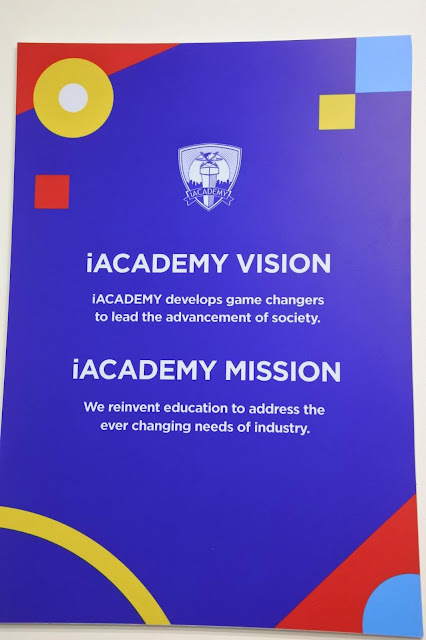 And just to show how futuristic iACADEMY is, they were the pioneers in robotics, designing mobile apps, programming software to interact with AI (Artificial Intelligence), and creating digital, tech-based tools and products. Now these are the stuff that easily piqued the interest of millennials. iACADEMY offers these specialized tracks that perfectly tailor-fits the interest of millennials. Teaches fundamentals and real-world application of the Principles of Robotics. Students build and program their own robots virtually from scratch. Students may go into higher studies in robotics, computer science, programming, and engineering. This track prepares students for careers in business processes, artificial intelligence, manufacturing industry, and transport. Practically any job that requires a background in computers, programming, and electronics. Drawing, painting sketching are just the basics. Students eventually move on to digital graphics, 3D graphics, and augmented and virtual reality. Graduates of this track will thrive as animators, comic book artists, graphic illustrators, and as creators of 3D graphics, and augmented and virtual reality. Audio Production today involves music, sound effects, 3D sound, augmented and virtual reality. As people prefer more experiential forms of entertainment, learning, and working, a career in Audio Production is even more viable and lucrative. This applies to careers in any business that entails music, entertainment, sound effects, performances, and video production. Every gadget and computer in the world now interconnect and operate using apps. Apps are more than just social media (Facebook, Instagram) and games like Minecraft. Apps help us navigate our world and, in the future, operate our home gadgets and appliances. Apps deliver our food, book our hotels and trips. We work, study, play, and even repair ourselves using apps. Graduates who took this track will be ready to create apps, teach others to use apps, or help operate apps in corporate and educational settings. iACADEMY aims to prepare the students to the challenges of the 21st century and veers away from the traditional way of worrying about the future. "But that has to happen. The change can be so fast, it's hard to catch up. The world is changing and we're already using amazing technology that our students needs to learn. 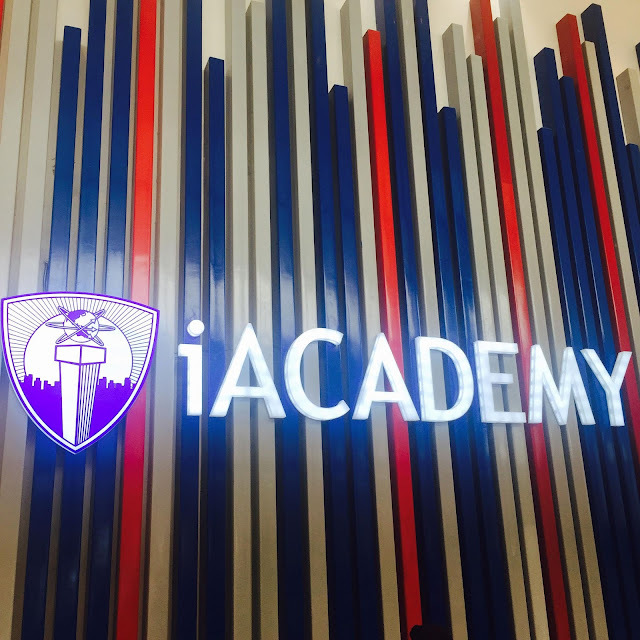 We're taking it to the next level," says Jake Aragon, VP for Academics at iACADEMY. "It's awesome if we could put our students at the forefront of their future lives and careers." 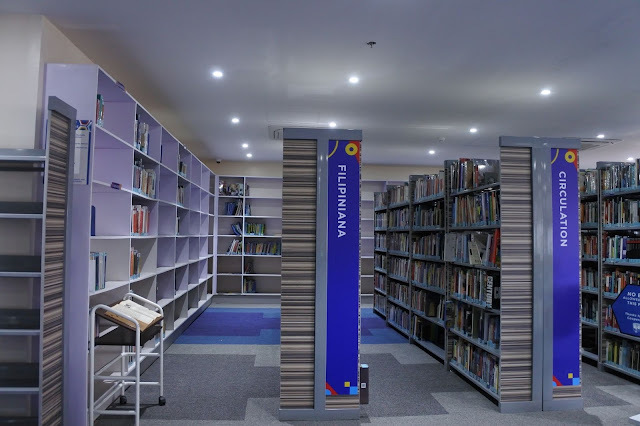 Well-lit and fully-airconditioned classrooms that are the perfect atmosphere for learning. 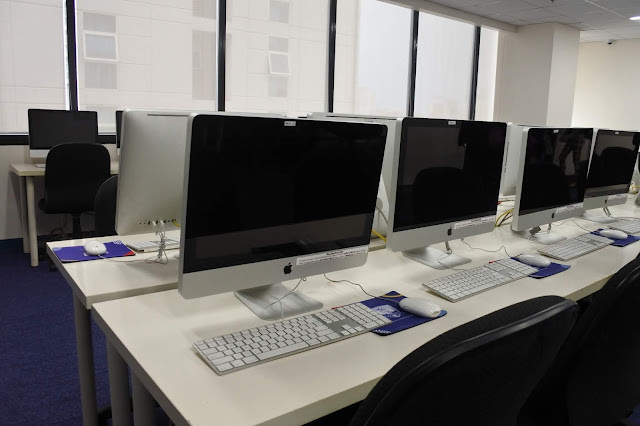 The Computer Laboratory has a separate Apple and Windows classroom that can help aid the students in getting familiar with both devices. State-of-the-art Library! I mean, this is not the traditional looking library that looks gloomy. 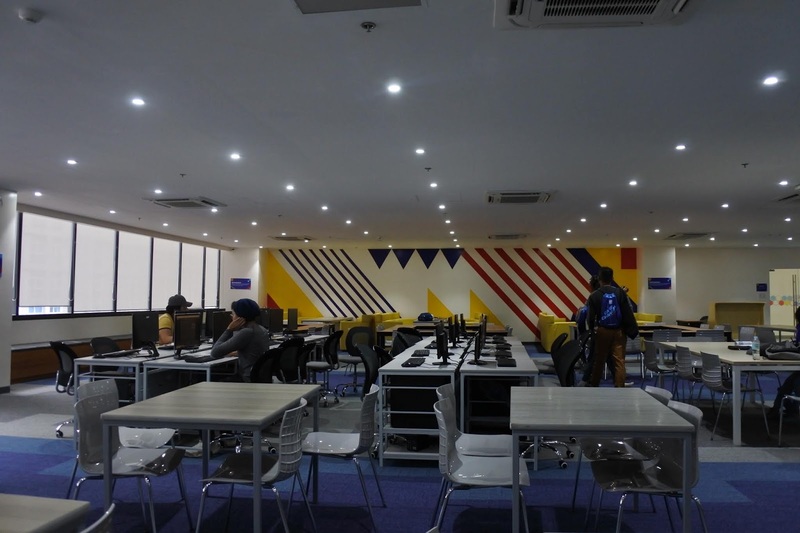 Instead, it is very spacious, well-lit, and has relaxing color scheme that helps make the mind open up to learning. Photography Studio Room. This is not just the simple cramped light room, this is the whole works! 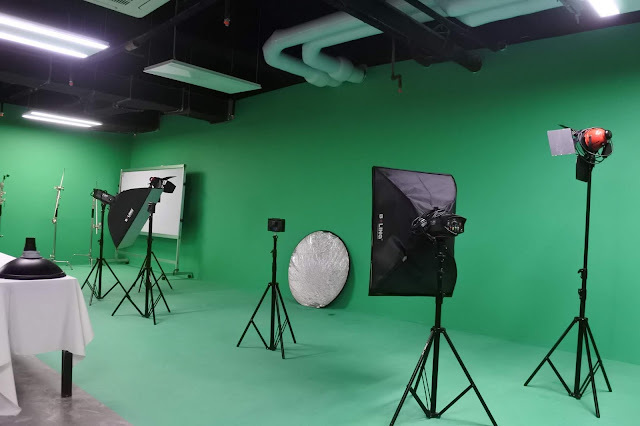 Students will definitely learn a lot of professional techniques as well as enjoy themselves during photoshoots. Fashion Design Room. Imagine Fashion Week every month? How cool, right? 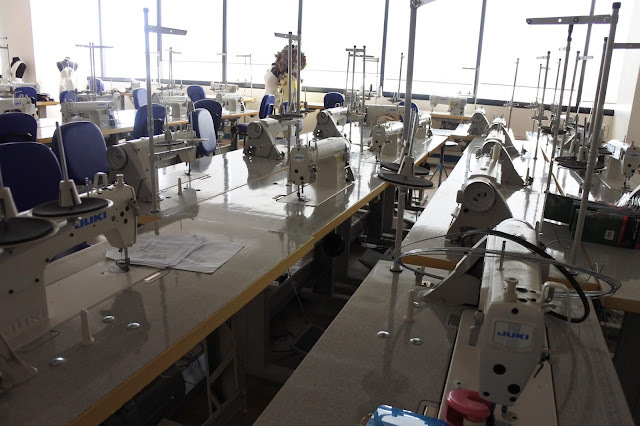 Students' creativity in Fashion Design will be challenged as they cut and sew fabrics. 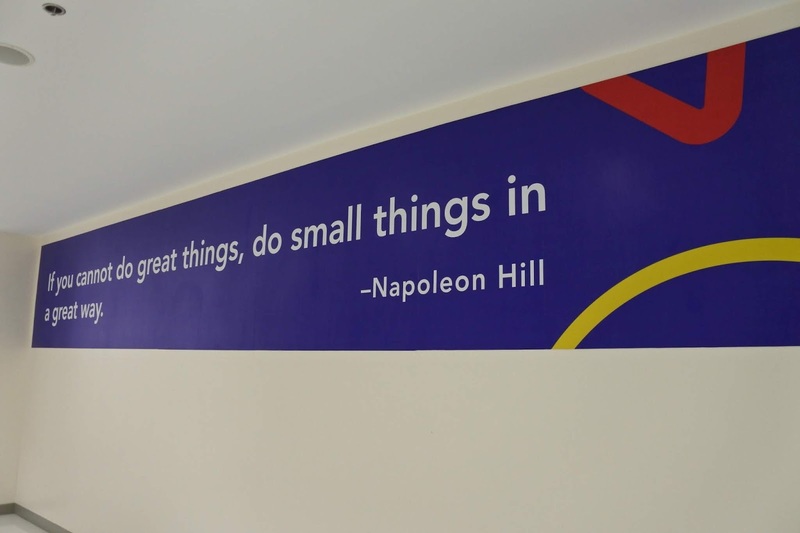 Words of wisdom like Napoleon Hill's "If you cannot do great things, do small things in a great way," are seen in different areas of the school campus to inspire students. iACADEMY campus is located at 7434 Yakal St., Makati City. You may call (02) 889.5555 or email: inquire@iacademy.edu.ph for more information. Globe myBusiness: Are You A Foodpreneur?